Collins Booksellers - Anger Solutions! Proven Strategies for Effectively Resolving Anger and Taking Control of Your Emotions by Julie A. Christiansen, 9780987963413. Buy this book online. Do you control your anger or does it control you? Learn to deal with anger the Anger Solutions way! This innovative 9-step model will teach you to identify the various anger styles, learn 13 sure signs of anger in the workplace, find strategies to resolve anger at work, give effective feedback and criticism, address problems assertively, listen more effectively, enhance communication in your relationships, and harness the power of forgiveness. 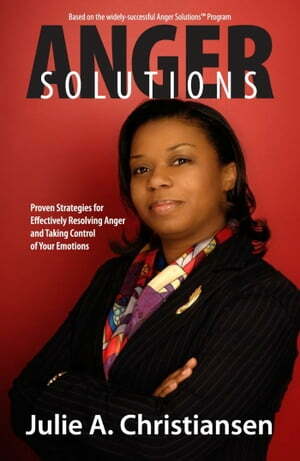 The Anger Solutions "T.S.A." formula will help you resolve difficult situations regardless of the context, and will give you the tools you need to communicate effectively with angry people! Julie Christiansen, M.A., is an international speaker and coach who specializes in Anger Resolution, Stress Management and Effective Communication. She is the author of several books, and shares her time between teaching psychology at Toronto&apos;s George Brown College, a private counselling practice, and writing/publishing books. Julie lives in St. Catharines with her husband and three children. This is her first Smashwords publication.